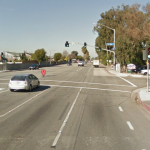 Garden Grove – Pedestrian Maria Hernandez was struck and killed by a car on Wednesday morning. While details of the accident are still sparse, we know that the accident happened around 5:55 a.m. near the intersection of Gilbert Street and Katella Avenue. Hernandez was rushed to the University of California at Irvine Medical Center for treatment but did not survive her injuries. She was only 60 years of age. An investigation is ongoing and witnesses should contact the Westminster Police Department at (714) 548-3219. 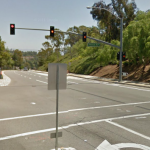 It is unclear if Hernandez was in a marked crosswalk at the time of the accident. Drivers should always yield to pedestrians no matter what. An investigation will determine if drugs or alcohol played a part. Our condolences go out to the family and friends of Maria Hernandez. Update: According to investigators, Hernandez was struck by a taxi cab which did not stop to assist her. Police are currently looking for the driver who was last seen headed south on Meridian Avenue.